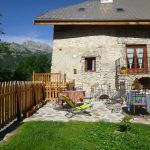 Gisele and Willy welcome you with warmth and friendliness in their Fontbriand Guest House, fully renovated farmhouse character. 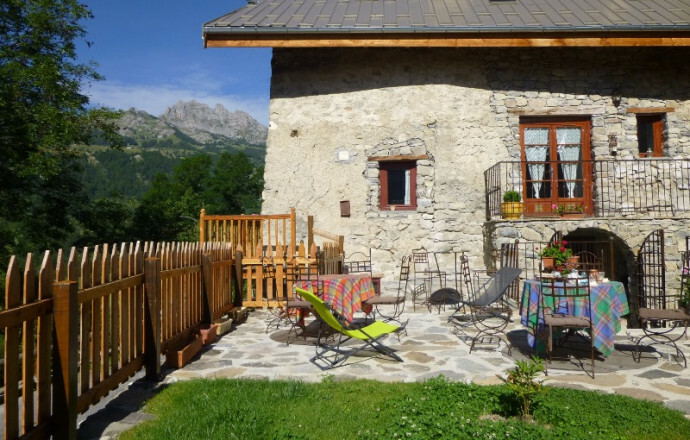 This building located in a small hamlet of the village of Reallon, at the gates of the Parc National des Ecrins and Lake Serre-Ponçon, is ideal for a stay under the sign of quiet and nature, with plenty of activities to discover in the surrounding area (ski, hiking, activities natutiques, swimming, climbing,...). 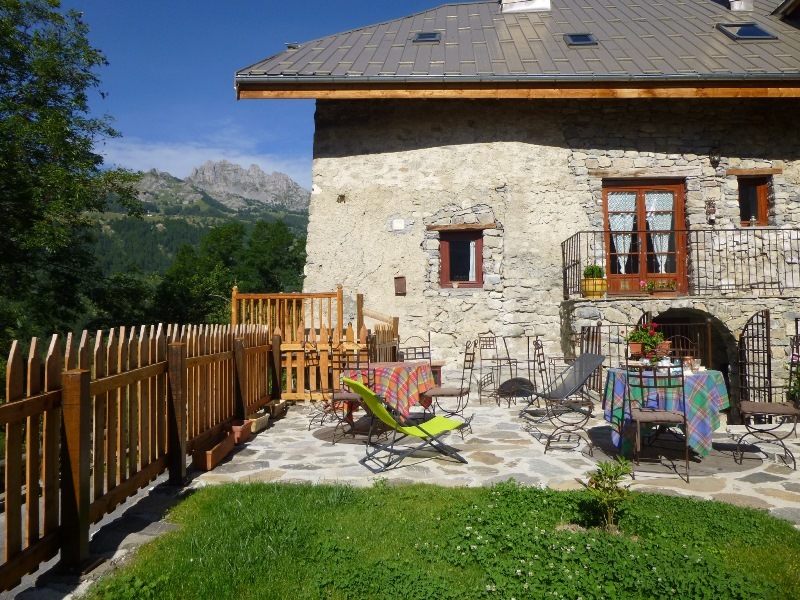 3 pretty bedrooms upstairs of the House with a personalized decoration, private bathroom and wc independent. A seating area opens onto the terrace for relaxing, reading or breakfast, and spacious vaulted to the cosy atmosphere you can enjoy specialities from the table d ' hôtes (on reservation). Local material. Shelter for cars and motorbikes. 1 bed in 140 equipped with bedding of a slatted and mattress to shape memory. 1wc 1 sink 1 walk-in shower. 2 beds 90. equipped with bedding of a slatted and mattress to shape memory. 1wc 2 sinks 1 walk-in shower.